How to Buy a Home! 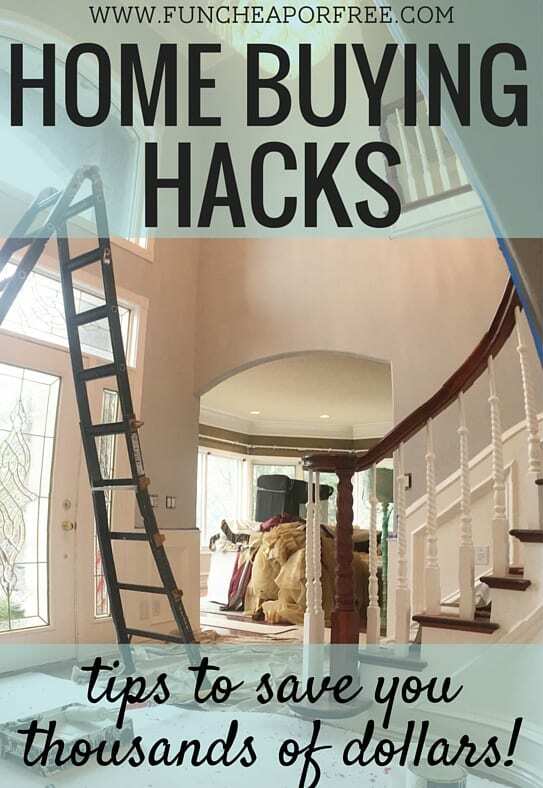 My Best Home-Buying Hacks and Tips! If you weren't sick of hearing about my birthday, now you'll be sick of hearing about the new house we bought! Sorry, but I just. can't. stop. talking about it! I'm so stinking excited and have so many things to share. So just know that I apologize in advance, but why wouldn't I want to share my most exciting project ever with my besties?? As I've been posting before and after pictures of The Page Project on Instagram, I've had SO MANY QUESTIONS about how to buy a house, and my best home-buying hacks and tips. I thought about answering them on IG but decided to do a full-blown post and video instead! So for this week's Millennial Moms video I'm sharing my BEST tips, and will continue to share even more on this blog and social media! (So be sure to follow along so you don't miss anything). Be sure to check out my new The Page Project blog page, to find everything about our house and renovation in one place. 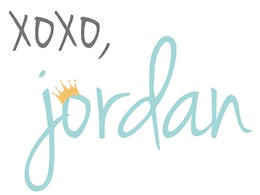 And of course, be sure to subscribe to Millennial Moms so you never miss one of my videos and while you're at it, check out my FunCheapOrFree YouTube Channel! I've been doing live tours of our new home on Periscope and posting them to YouTube, so that's a great way to catch up on what's going on as well! 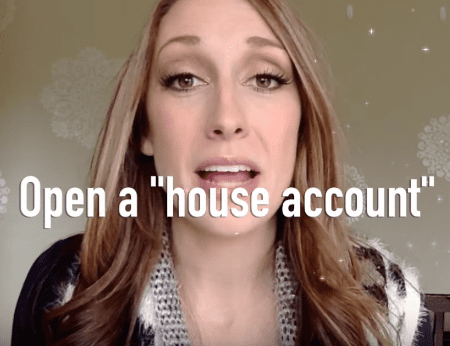 Ok enough chatter, on to the home-buying tips! There you go! Hope those were helpful! Don't wait to start saving until you're ready to buy…start NOW! Even if you aren't planning to buy a house for 5 years, start saving right this minute. I suggest making an account that is JUST for your home savings. It keeps everything set aside, and visual so you see exactly what you have! It's motivating to watch that number grow. See my 7 bank accounts post for tips on this, and just add this as an 8th account! And, have you checked out my budgeting program? Budget Bootcamp gives you my secret formula to becoming financially successful! One important thing to remember when budgeting for a house is it's not JUST about the cost of the mortgage. When you buy a home there are potentially 10's of thousands of dollars worth of additional fees and needs – realtor fees, closing costs, mortgage insurance, utilities, furniture, repairs, fixing up your own home to sell, moving costs, etc. Please please please OVER budget so you're not surprised by a sneaky several thousand dollars that you weren't prepared for. It always costs more than you think! You may have to put as much as 20% down on the home. TWENTY PERCENT! That's a huge chunk of dough. Luckily there are grands and loans to help bring those costs down, such as an FHA loans for first time home buyers, that can help cut that percentage down dramatically (sometimes as low as 3% instead of 20!). My advice is to talk to a professional to see if/what you can qualify for. Don't let a beautifully staged, decorated, or beautifully painted home distract you. Look at the bones! Look at the layout, neighborhood/location, roof, foundation, position of the home, number of rooms, age of home, plumbing, electrical, etc. Sure, those things can be updated but it's much cheaper to paint and decorate than it is to gut and re-build a home with issues. Schools, neighborhood, and overall location is something that can NOT be changed, and is probably the most important factor when selling a home. Again, location should weigh in more than any type of beautiful decoration or paint job – don't sacrifice location! Bubba and I set the goal to walk through 50 homes before buying our forever home. 50 might not sound like a lot but oh my word that's a TON! If 50 is a stretch, I recommend at LEAST 30. Trust me, homes can be very different in person than they appear online. It's so important to physically walk through the homes and FEEL the quality, layout, natural light, etc. Remember, pictures can be (and are) heavily edited before going online! Do your research and you'll just “know” when you walk through your perfect home. Our situation and houses have been very complicated (we bought a short sale that took 12 months of fighting and negotiating, and even this new house was a complicated sale) so we never would have been able to do it without an agent. (See who I use and why we love him on our The Page Project page!). BUT..you don't HAVE to use an agent! In fact, if you don't, it can save you quite a bit of money. If you go this route, however, be prepared to put in some extra elbow grease and you'll need to commit to doing a lot more research and due diligence. If you buy your new house for less than it appraised for, you can get your taxes lowered accordingly! Take the information in to your county assessor, and they will lower your taxes to suit the price you purchased the home for. We didn't know this until a few weeks ago and are saving several thousand per year on taxes as a result. SCORE! And lastly, Take. Your. Time. Sometimes it's easy to get caught up in the excitement of it all and want to rush into something. Trust me, the last thing you want is an impulse-buy that you'll be paying off for the next 30 years! Slow down, take your time, commit to walking through 30-50 homes, and stick to your “must-have list” and you'll be just fine! Do you have any other home-buying questions? Leave them in the comments below! Thanks for watching, and happy hunting! Hey I know this might be to personal of a question but heck I’m going to ask anyway…… I love your NEW house!!! I know you worked so hard to get it and BTW congrats! but I was wondering how much you got it for and how many sq ft is it? Where about is this? Salt Lake area? We currently have a house in Pleasant Grove and love it but not as many options like this down here. We are still new to the whole budget thing and I know we are no where near able to afford something like this but I would love to have a house like this someday for me and my family. Anyway, thank you for all your helpful tips and I love your sites! THANK YOU SO MUCH!! Congrats on the new house! It seems incredible, way to go! Do you happen to know any way around waiting 2 years to apply for a home mortgage loan if you are self-employed? My husband is a self-employed health professional and we’ve heard of programs in the past but have already been told by two banks that we need to wait to show 2 years of cash-flow or get a coborrower. Were you guys self-employed when you bought your first house? Did you have to wait two years, too? Thanks in advance! No, that’s super hard and that’s a problem that we were running into several years ago. Rules have tightened up a ton for self-employed! The easiest thing to do is have someone co-sign on the loan with you, then you can refinance after 1 year and take them off the loan. Not ideal, but it would speed up the process! Oh and yes, we’ve always been self-employed! Oh my word it wasn’t easy! We took them with us many times, or we would schedule a playdate for some of the kids, or get a babysitter for all the kids. It was not easy. If we were only looking at 3-4 houses in a night, we would turn on a movie on the ipad in the car and leave them in the car as we ran in. We got to the point where we could be in and out of a house in 10 minutes because we were so in-tune with that we were looking for. Then, if we wanted to come back and look at a house in better depth, we would get a sitter and take 45mins to 1 hour walking through the house without the kids! And we’ve always looked for an agent so I don’t know what it’s like to do no agent! I understand your thinking behind looking at 30-50 houses first, but I don’t understand the point of looking at a house without there being a chance you will buy it. There may not be many houses in your price range and the ones that are a good deal, get sold fast. If I looked at my 3rd house and fell in love with it, by the time I looked at a ton more, Theres a good chance that house will be gone. We just bought our second house in November. We had been looking for months online and had driven by a few but had only looked in one house before I found this one. We fell in love and was just what I was looking for with only a couple exceptions. We looked at it the day it went on the market and it finally sold after 3 days of being on the market with a couple interested buyers. So my advice would be, do your research, know what you want, but if this is only the 5th house you look at and its perfect, dont wait! Indeed, start saving to buy a home as soon as you can. The sooner you start, the more money you will have to put into your budget. Personally though, I wouldn’t put that extra money into the budget, I would use it to lessen my mortgage payments. I wasn’t aware of how many additional fees there were when purchasing a home. My fiance and I are wanting to buy our first house. I think we are going to have to do some research and hire a realtor to make this the best experience possible. I hope we are able to find the best one for us and move into our new house as soon as possible. I loved this post, so informative and useful! I have been dreaming of buying a house since some time, and now I think I am ready to start saving. I think you’re right that it is important to save more money than the actual cost of the house. I bet there’s a lot of extra costs, that I cannot even know about at this moment. Another important fact is to take time before making the decision. It might sound easy now, but I know once I want to find a home quicky, I will not think about considering long enough. I will try to remember that! As you said, it would be a good idea to look into special loans or grants. I know that I don’t have a whole lot in saving so that would help me out greatly. I’ll also see about getting the help of a professional as that would help me best.